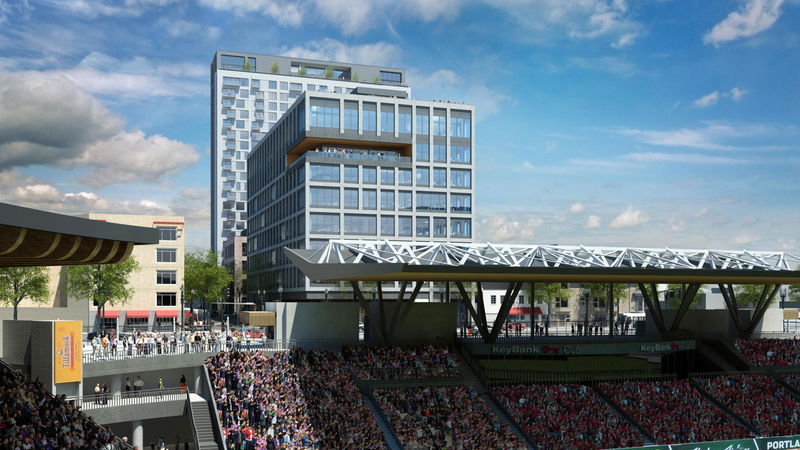 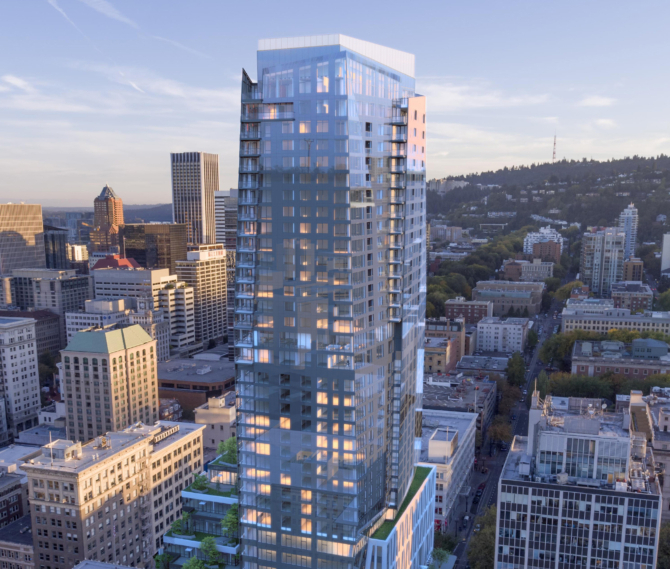 Mere steps away from Providence Park, the Press Blocks promises to transform Goose Hollow from an underutilized industrial neighborhood into a vibrant community and a major transit gateway between downtown Portland and its outlying areas. 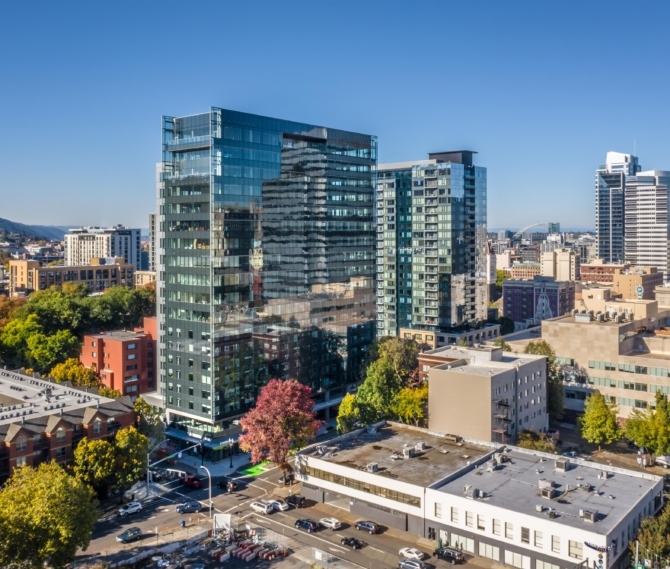 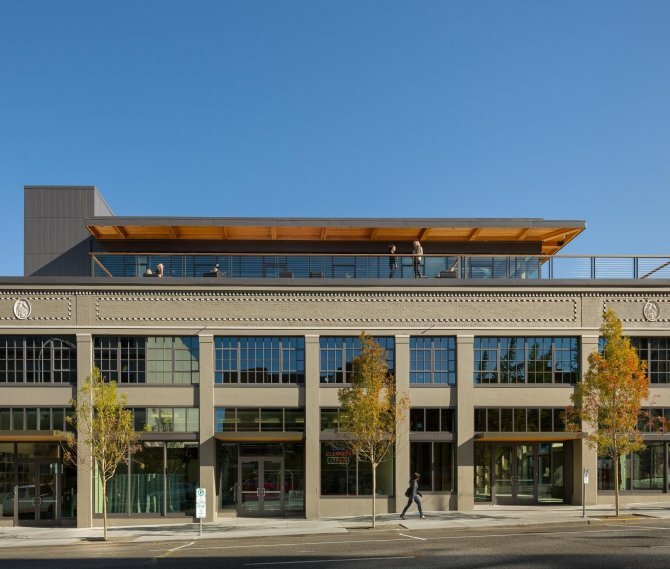 Commissioned by Urban Renaissance Group / Security Properties and co-designed by Mithun, the development occupies one and a half blocks formerly home to The Oregonian’s printing facilities. 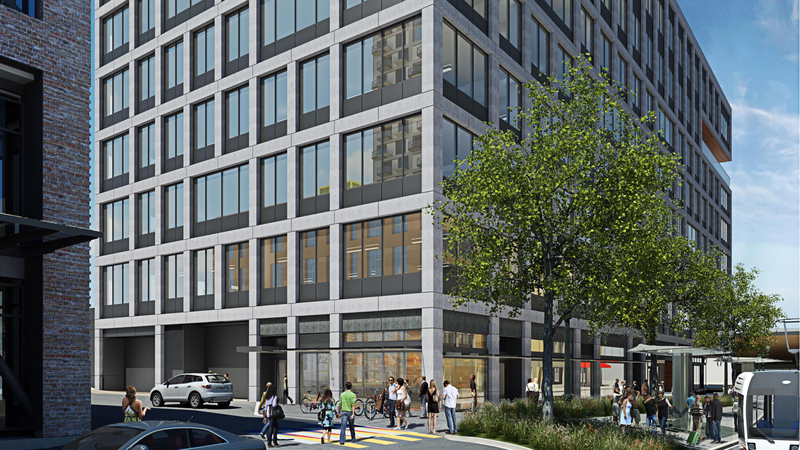 Two mixed-use office buildings and a residential tower anchor the project, the design of which pays homage to the rich industrial legacy of the site. 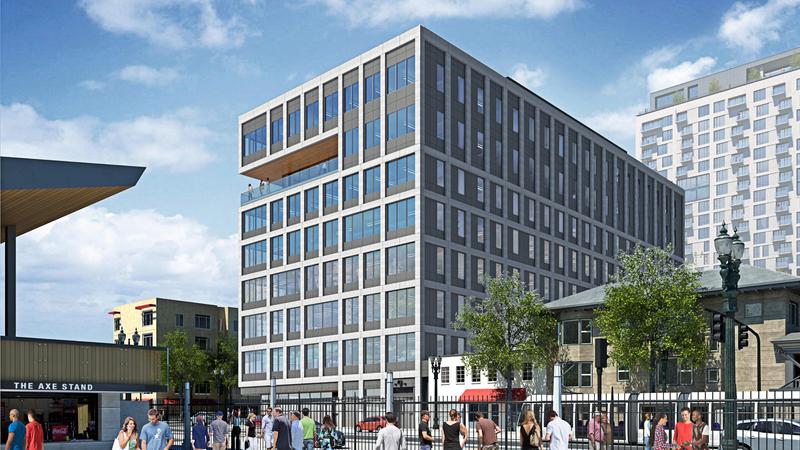 The idea of “communication” and the ongoing dialogue between people and place drives our design for the eight-story office on the half block portion of the site, honoring its history as a publishing nexus while providing 152,000 square feet of combined office and ground-level retail space. 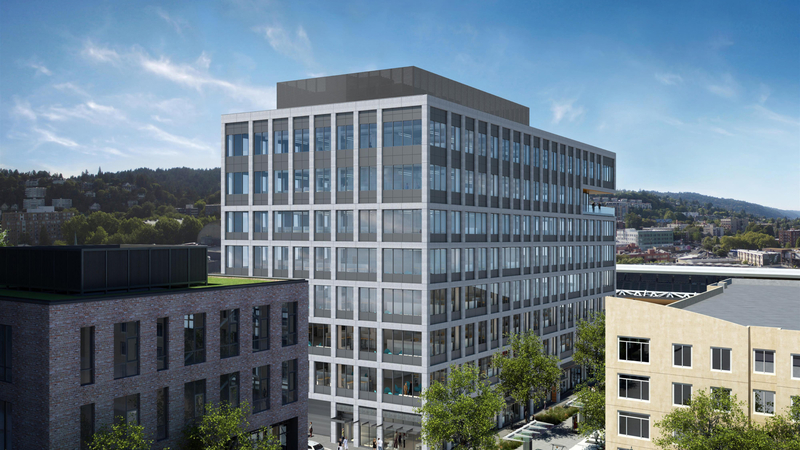 The metaphor of “press and paper” informs the shapes of a four-story mixed-use office building and the adjoining residential tower on the full block, visually evoking the silhouette and textures of a mechanical printing press and a sheet of newspaper, respectively. 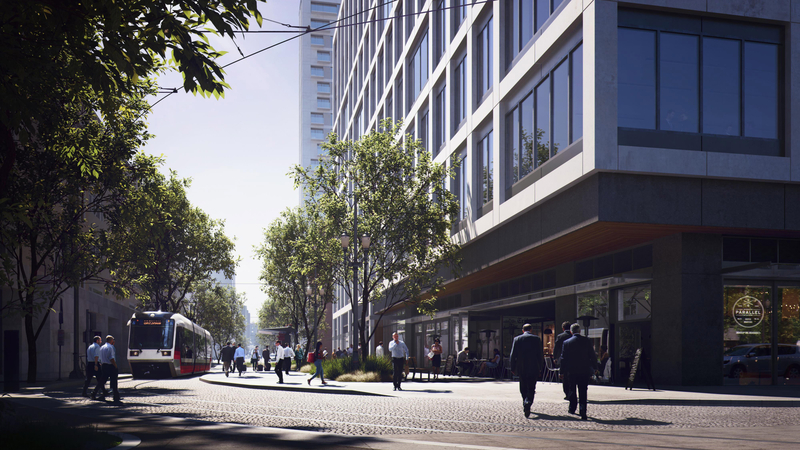 A landscaped plaza encourages community gathering while connecting an additional 41,500 square feet of commercial space to the Mithun-designed plaza building and residential tower, which will rise 250 feet tall and add 344,000 square feet of living area in the form of 337 market-rate apartments. 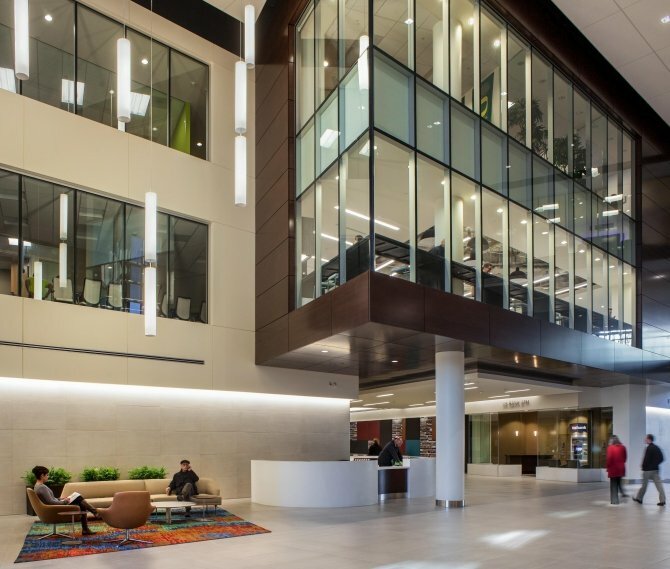 GBD provides oversight for the master plan and the design of the half block office building, which aims to continue our commitment to sustainability by achieving a LEED Gold rating. 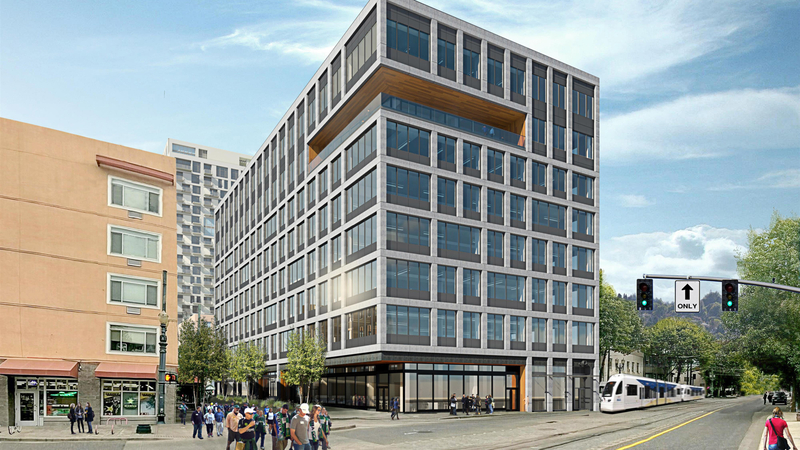 Estimated to reach full completion by the end of summer 2020, the Press Blocks will encourage Goose Hollow’s commercial and residential growth while embodying its historical roots as an epicenter of communication and civic service.